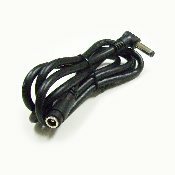 3.8V Li-ion battery compatible with Turbo Mini 330 systems. 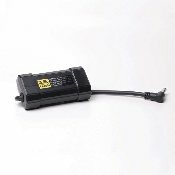 7.6V 5.8Ah Li-ion frame mount battery pack for Centauri 1700 / 1500 / 1000 systems. Includes battery, foam pad, and battery velcro strap. 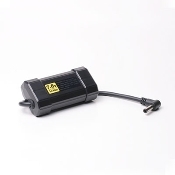 7.6V 2.9Ah Li-ion battery compatible with Turbo 800 / 740 systems. 7.6V Li-ion battery compatible with Turbo 740 Xtra systems. 7.6V 5.8Ah Li-ion frame mount battery pack compatible with TridenX Li-ion Xtra and Trion systems. Includes battery, foam pad, and battery velcro strap. 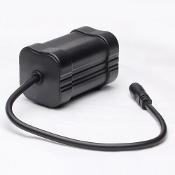 7.6V 2.9Ah Li-ion stem mount battery pack compatible with TridenX Li-Ion and Trion systems. Includes battery, foam pad, and battery velcro strap. 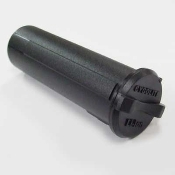 3.8V stem mount Li-ion battery for compatible MityCross, DualCross Pro Li-ion, and DualCross Li-ion systems. Includes battery, foam pad and battery velcro strap. 3.7V Li-ion battery for Expilion and Pace systems.